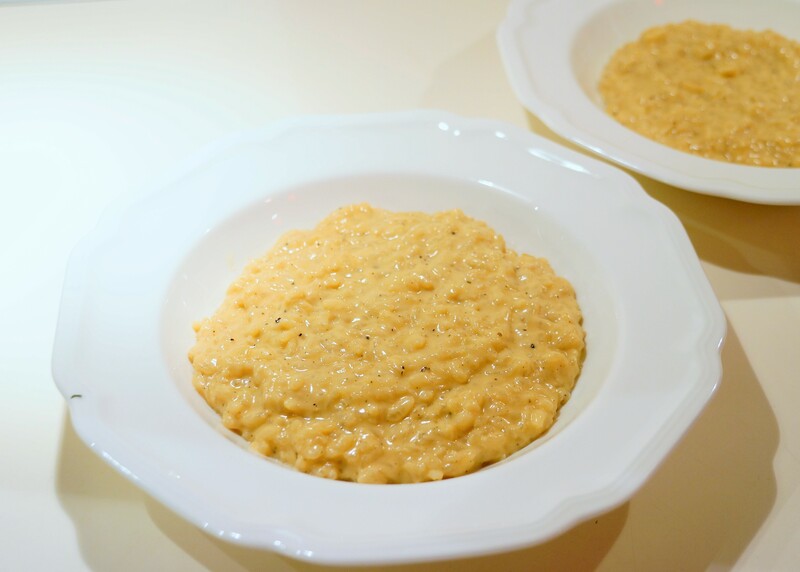 Risotto is rich and comforting. This is delicious on it’s own or topped with vegetables. It reheats well in the oven so it’s worth making a full batch even if you don’t need that much. Heat the vegetable stock on low while preparing other ingredients. In a medium pot, saute the onion in olive oil until translucent, about 5 minutes. Add the rice and stir, cooking for an additional minute. Add broth 1 cup at a time, stirring constantly. Wait until all the broth has been absorbed before adding more. Once the broth is entirely used, add the milk and cream. Continue to stir until absorbed. Remove the risotto from the heat and stir in the cheese. Serve immediately. This entry was posted in Side Dishes and tagged cheese, milk, rice. Bookmark the permalink.